Born in Hamburg, Germany, Amadeus was raised with two habits synonymous with Germans: punctuality and a love for detail and perfection. These German traits come in handy when helping a client find the perfect house, find the perfect buyer for a property and negotiate the best possible deal. Amadeus has been living in the Hamptons for almost a decade now - after working in Manhattan, Costa Rica and Los Angeles. This is his home - and favorite place to work so far. He managed the German-owned "Engel & Voelkers" office on the East End and after that was a successful agent with Brown Harris Stevens in Sag Harbor for five years before starting to work for Compass in December 2015. When you work with Amadeus you not only get an experienced agent with a deep knowledge of the market from Southampton to East Hampton - you also get personal experience and insight that only a local can offer. Once a bachelor living the life in Sag Harbor Village - he now enjoys the rural dream with his wife, baby boy and their two dogs in Sagaponack. 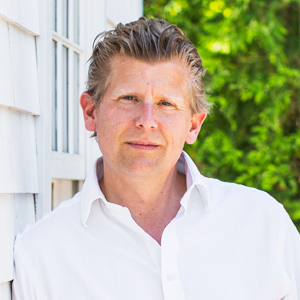 You will meet Amadeus at Gibson Beach early in the morning walking Max and Murphy, on Main Street in Sag Harbor strolling with the family, or in downtown Bridgehampton where he also owns "Hamptons House Watching" a property management company for the Hamptons. No matter if you are a first-time homebuyer, looking for a great investment, or want to find the right house to make forever memories - Amadeus will find your place.